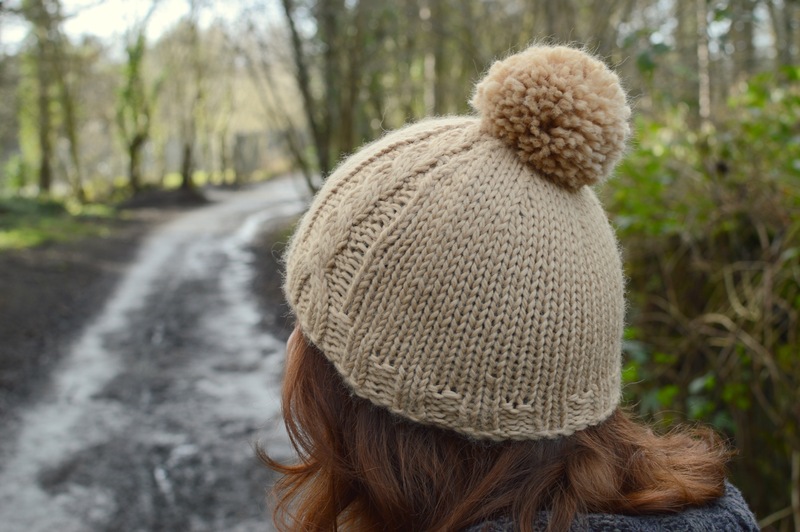 That just about says what this is about – many of you have been asking about quick chunky knits, so I thought I’d do a bit of a pattern pick for you – we’ll start with hats for now. I was going to do head, neck, and hands all in one blog post but it was getting unwieldy so I’ll just stick to hats for this post. For more inspiration for all yarns and things to make, why not have a look at our Pinterest boards? You can see them HERE. 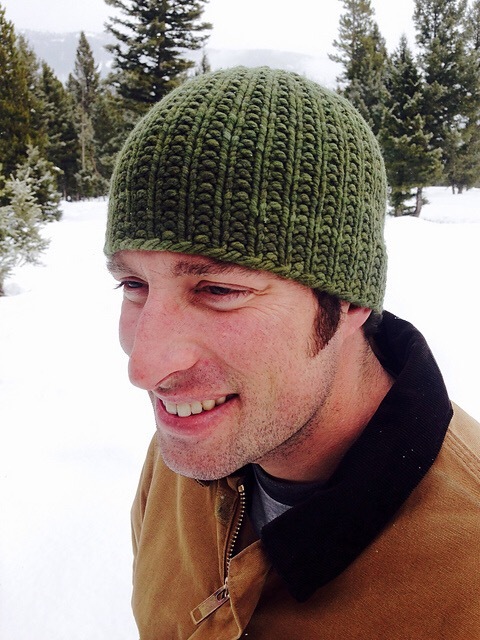 Brigg: a quick slouchy hat with a cable up one side. It’s unisex and very easy. 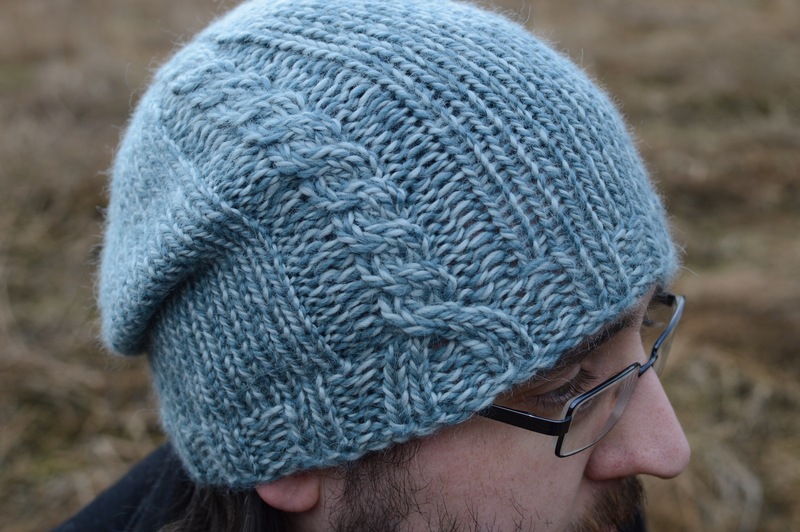 It uses one 100g skein of Whitfell Chunky and works well as a beanie or slouchy (Image credit: David aka Mr ECY, and me). ..but works well in two colours too. If you’re going to do that – you work all the knit stitches in one colour, and work all the purl stitches in the other colour. You’ll want to go up a couple of needle sizes really too, as the stranding of the colours tightens the fabric. I used 6.5mm for this sample. Take Heart by Fiona Alice. This sumptuous hat with its beautiful cables and turned-back bottom band is from Fiona’s Take Heart book, which I heartily recommend. This hat took me two skeins (well, 1.2) to make. The pattern recommends Aran yarn but I found it fine with Chunky. Anything thicker than Whitfell Chunky and I think the tight tension would hurt your hands. 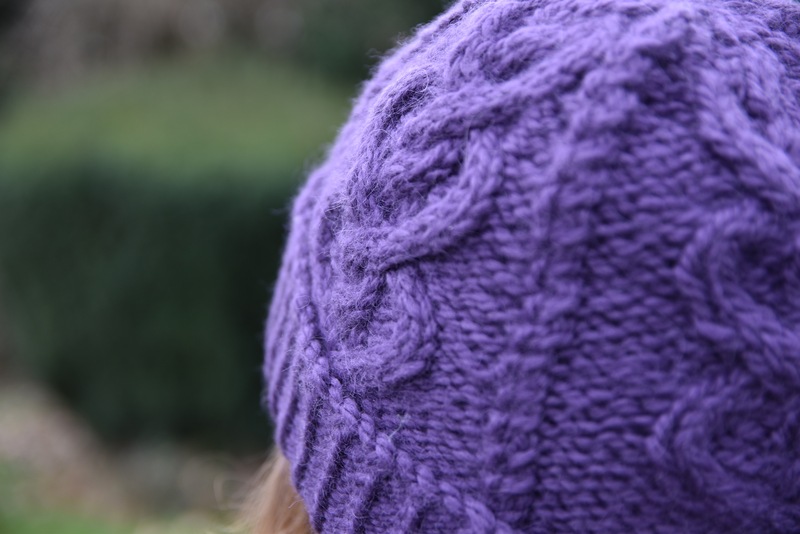 Gumdrop Slouchy Hat: by Julie King. 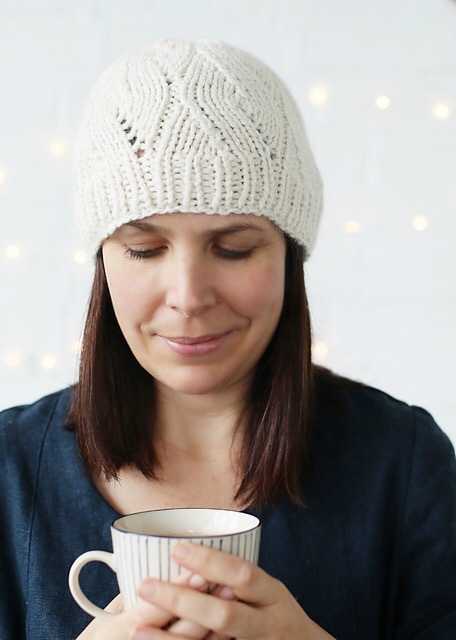 This is a super-simple crocheted classic slouchy hat, which would work in one colour or stripes equally well (Image credit: Julie King). 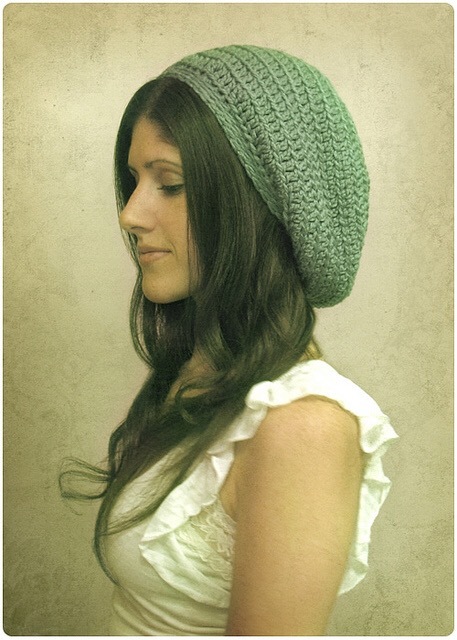 Lapsang: a gorgeous lacy slouchy hat by Clare Devine as part of the Tea Collection. Highly recommended – it also uses one 100g skein (our own pic). 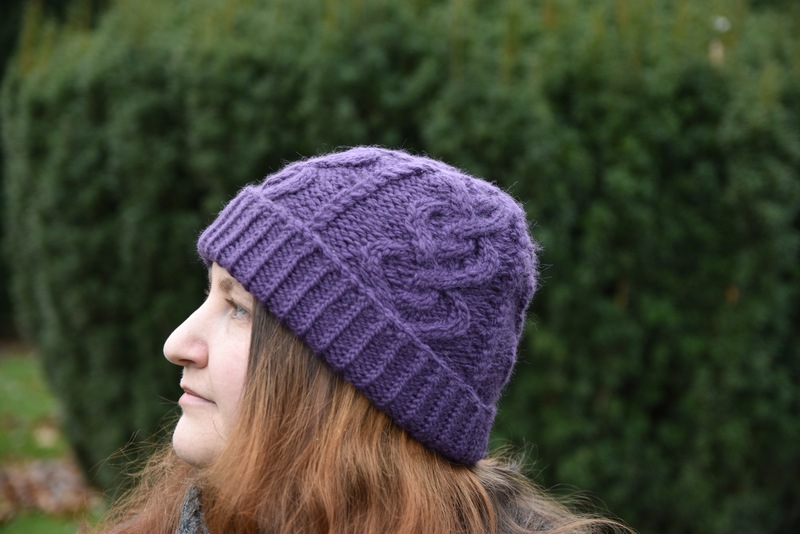 Capucine: by Adela Illichmanova; this is one I haven’t made but has been on Ravelry forever, and with over 6000 projects it’s sure to be a good ‘un. 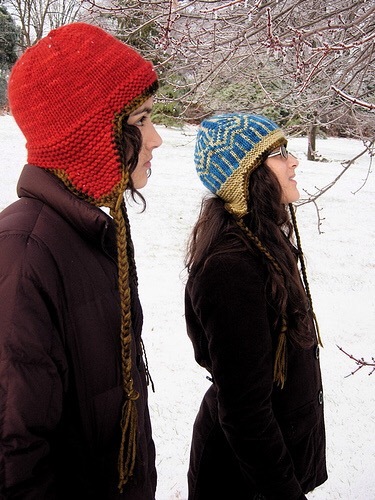 It’s a slightly different style too – a sort of bonnety beanie which keeps the ears warm. 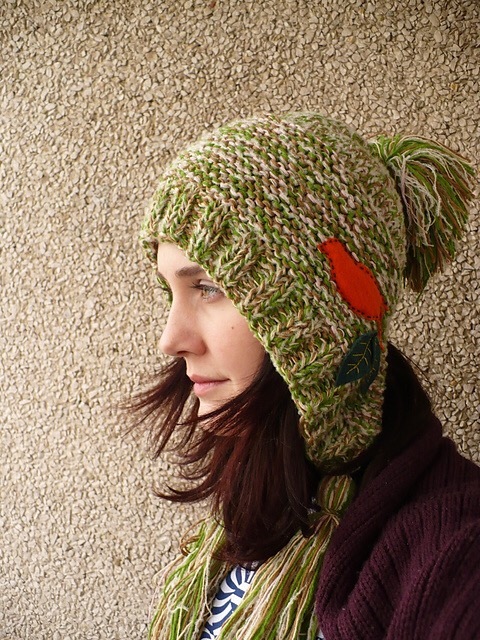 It looks like you might want two 100g skeins for this hat (Image credit: Shanin aka Adela Illichmanova). Man Hat: by Haven Ashley; again one I haven’t made but definitely would do. 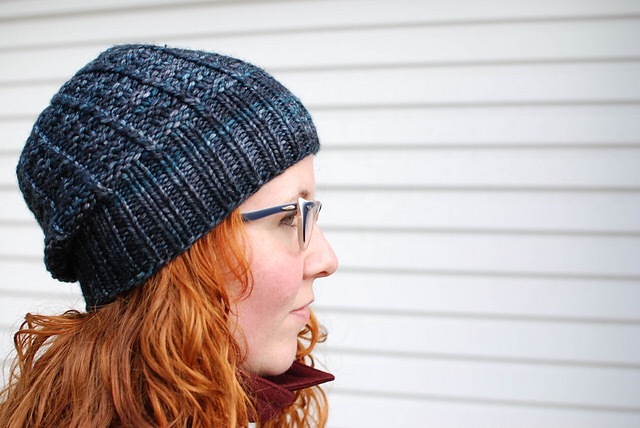 It’s a beanie with texture – quick and simple, and very much unisex (image credit: hvnlvt aka Haven Ashley). 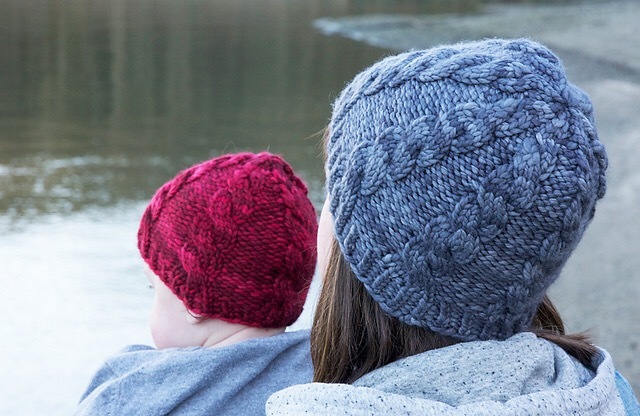 Ice River Hat: by Helen Stewart; this is a classy looking hat with a lovely simple, swaying pattern (Image credit: Helen Stewart). Everyday Brew: by Clare Devine, and also from the Tea Collection (it’s a great collection). I’m surprised I haven’t made this already (queue growing..). It looks super-simple and quick, and the gorgeous texture will suit any colour (Image credit: Clare Devine). 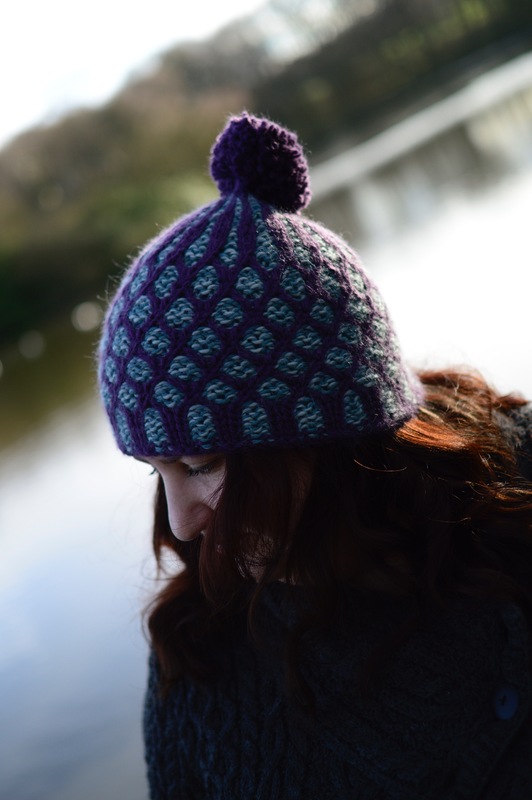 From now until the end of February you can get 33% off any of the following patterns from Clare’s Tea Collection with code ECY33 – you can see these patterns HERE on Ravelry. 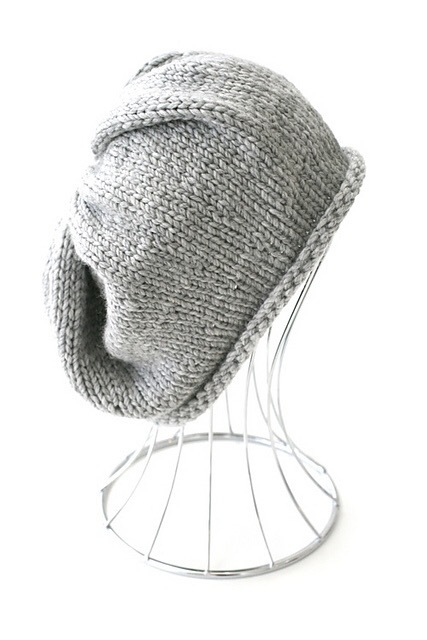 Simple Slouchy Beanie: by Kelly Kingston. Another one I haven’t made, but I have seen a few of these made up in various yarns and they’re always lovely, and again very classy-looking. Plus, about as simple as you could get (Image credit: Tangled Yarns aka Kelly Kingston). 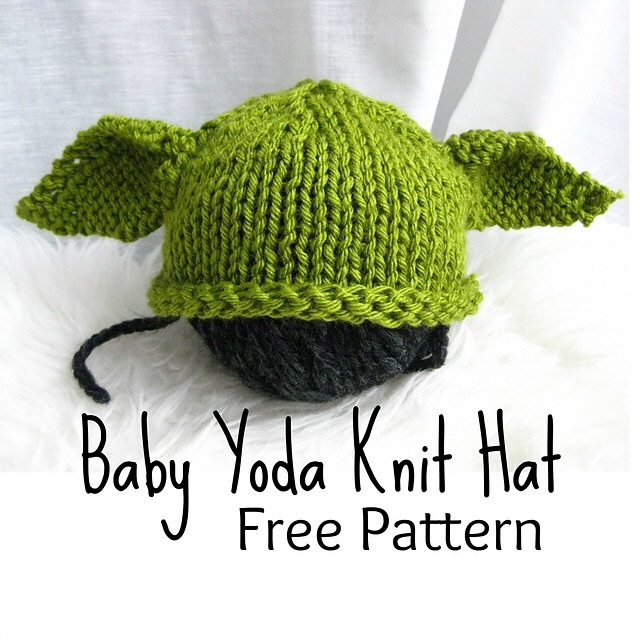 Baby Yoda Knit Hat: by Shinah Chang. Ok, I had to finish on this. Admittedly Whitfell Chunky doesn’t come in green, but I’m sure baby Yoda wouldn’t mind being a different colour – it’d still be the cutest and nerdiest thing (Image credit: Shinah Chang). That’s all for now. I might add to this list in the future. If you want to do your own Ravelry search, try filtering either by ‘bulky’ yarn weight, and/or 6mm needles. Whitfell Chunky works well on 5-6.5mm needles in my opinion, so there are some aran patterns that’ll be ok for it. At some point I’ll do a tutorial on using Ravelry’s advanced pattern search as there are lots of people who ask me about it. For now, enjoy your quick chunky hat! PS. 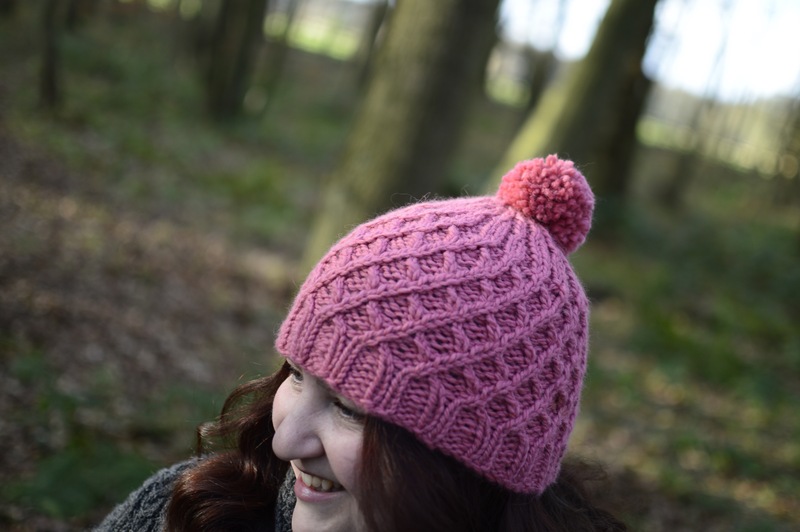 I’m going to link to this post from our Chunky Patterns page on the ECY website.. if you have any favourite chunky hat patterns you think I should add to this list, please leave a comment to tell me about it!